Bring any type of Peanut Butter and/or Jelly (no glass jars please) to either of the team offices at 899 Presidential Drive Ste. 112 Richardson, TX 75081 or 2905 Lackland Rd. Fort Worth, TX 76116 between 9AM and 3PM Monday through Friday up until June 29, 2018. 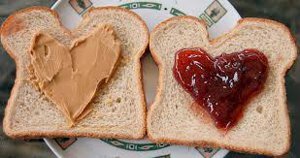 If you'll be traveling or unable to deliver to us, feel free to make a $20, $50, $100 or bigger donation HERE: Pitch In for PB&J! and we will purchase PB&J on your behalf and include it in our delivery. ***North Texas Food Bank requests no glass jars due to break-ability. We appreciate you and assure you that you are making a difference in the lives of families in our area!